With Ole Gunnar Solskjær, Manchester United finally found a coach who could be a long-term solution and Fergie replacement. Since he replaced Jose Mourinho in December of 2018, the team started playing successful and offensive football, with the highlight definitely being the 1-3 victory over Paris Saint-Germain, which secured them a spot in the quarterfinals of the Champions League. 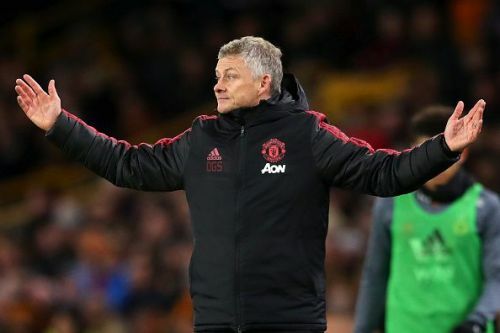 In the summer, Manchester definitely will not lack in money and ambition to strengthen the squad and help Solskjær building a team that could at least compete for the title in every competition they play in. 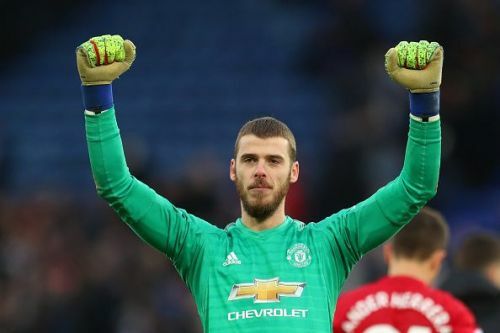 The most important thing for United is to renew the contract with David De Gea long term. Even though he is not having to best of his seasons this year, he is still one, if not the best goalkeeper in the world. Sergio Romero still is a quality back up who could step in case of an injury. Dean Henderson is having a great season at Sheffield United and should get a spot in the team. While he is learning from Romero, he could slowly but steady step in as the second keeper. At right-back, the Red Devils are lacking in quality. Antonio Valencia is not good enough anymore and should be sold. Diogo Dalot is an amazing talent, but he might not yet be ready to play every week on the big stage. The solution could be the €40-million rated Ricardo Pereira from Leicester. Putting in a great shift on the right side for the Premier League club, making 3.6 tackles a game, Pereira also makes one key pass per game, showing as well, that he is an offensive threat and therefore suits United's playing style under Solskjaer. The center-back position usually was a big problem for the record champion over the years, but now with Victor Lindelöf, they seem to have found a long-term solution. Chris Smalling and Phil Jones may not be world class, but with their experience and love for the club, still could be a capable backups. Marcos Rojo has not been on Premier League level for a few years, while Eric Bailly is too inconsistent for top level. Both must be sold, especially considering that this might be the last occasion to get quality money for them. 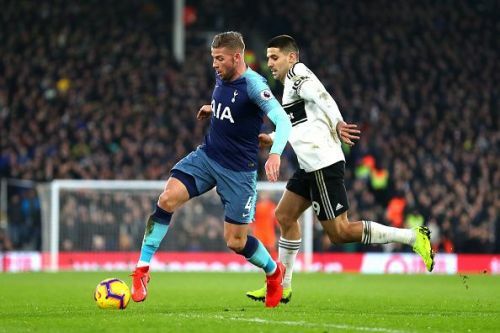 Toby Alderweireld appears to be a good fit: Experienced, great tackler and good on the ball. His 25 million pound buyout clause seems like a bargain and he could definitely put United's defense on another level. Axel Tuanzabe should be called back as a 5th center back option. He is very talented and could turn out to be a big surprise. The left-back positions can stay as it is. Luke Shaw as an undisputed starter and Ashley Young as an experienced back up for the left side. A young talent should be promoted from youth, probably someone like Lee O'Connor or Ethan Laird to be the 3rd left back. Matteo Darmian's contract is running out and does not seem to be renewed. Nemanja Matic seems to be the number 1 for the defensive-midfielder spot. Experienced and consistent as he is, Matic should not be replaced yet. 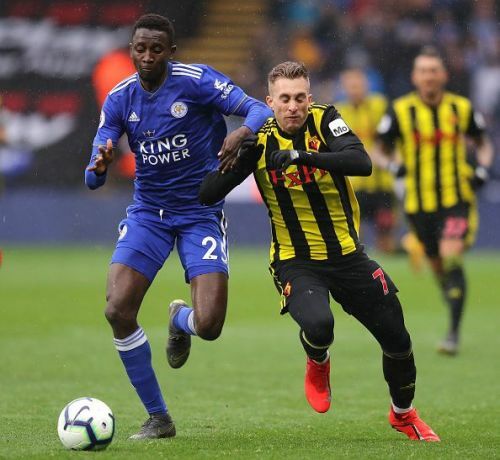 Wilfried Ndidi should be brought in as a competitor for him who probably will replace him in the future. £50million may sound like a lot for the 22-year--old, but he is great at defending (5 tackles and 4 interceptions per game) and a solid passer (51 passes per game with 78% accuracy). He may not be the most stylish and fancy solution, but will do his job. Ander Herrera appears like a starter as well. A big game player, with a strong attitude and aggressiveness, who is still technically able to start an attack. Another player able to play in this spot is also already in the club: Fred. The Brazilian who was already bought for 59 million euros seemed like a player, who would not be able to find himself a space in the team at first. The sky did not seem brighter for him under Solskjær too, but after an injury to Herrera, he got his chance and convinced the coach in these few occasions. A 3rd backup to both of this positions cold be found in Scott McTominay. A youth product, maybe without the ability of some players in the squad, but willing to throw himself into every tackle and play for the team. Paul Pogba inhabits the offensive part of this trio. The excellent player with the ability to be the captain should be held at every cost. A suitable backup for him seems to be Andreas Pereira. The player to help in case of injury might be Angel Gomes. Another youth product who may not be ready for the PL yet, but ought to be slowly introduced to the top flight by Ole. He is a huge talent with the potential to replace Pogba long-term. With Jesse Lingard, there is already a class right-winger in the lineup, who is quality and a hardworking player. Juan Mata should be sold in my opinion. He may still be a quality number 10, but is lacking the physical aspect to play in any other role for the red half of Manchester. A big transfer would be signing of Jadon Sancho. One of the, if not the most talented English youth product, who seems like a perfect fit on the right side. 11 assists and 9 goals are an insane output for an 18 years old. Combine these with his 3.2 dribbles and 2.1 key passes per game and you get an outrageous attacker. His price tag of 130 to 140 million euros may sound like an insane amount, but is definitely justified. In the striker position Romelu Lukaku seems to gain his starting spot back, while Marcus Rashford also putting in a great shift in both positions: striker and left wing. A backup to those two is again a very talented youth product: Mason Greenwood. The young player already sniffed some minutes in the first team and could, with right treatment; turn out to be a world-class forward. The left-wing position is not only played by Rashford: Anthony Martial also is in for a starting spot and should not be overlooked. Alexis Sanchez is a benchwarmer on a huge contract, who definitely needs to be sold as soon as possible. Tahith Chong is another young player with a bright future, but is not ready to cover the wing spots in case of injury. He could use a loan into the championship to get some minutes. My last transfer proposition is Ivan Perisic. A good and experienced player who should be gettable for around 25 - 35 million euros. He could back up both wings for the next 2-3 years, until Chong is ready to play there. This squad may cost around £285 million, but should definitely be able to challenge Manchester City and Liverpool for the title. Both, the experience and talent of the squad could turn United into a title contender, not only in England, but also in Europe.